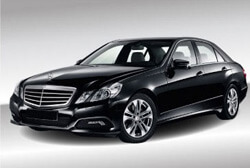 Smooth driving, style and performance make the Mercedes one of the most coveted cars on the market. Only a few people are fortunate enough to own one, which is why owners need to make sure that they are following the routine services and care their car needs to last. It doesn’t matter if your car is ten years old or just rolled off the assembly line—our skilled technicians at Dave’s Ultimate Automotive are able to take care of it the right way, the first time. Our locations in Austin, Cedar Park, and Pflugerville are waiting for your Mercedes-Benz today! We care as much about your vehicle as you do. Set up an appointment online, or give us a call to find out the many ways we can service your Mercedes. Did we mention that all of our Mercedes repair services are guaranteed by a nationwide warranty? When you bring your vehicle to Dave’s Ultimate Automotive you can be confident that it is truly in the best hands. We also are happy to provide free vehicle safety checks on your car’s air conditioning, brake system, alignment and check engine light, further helping you and your family stay safe on the road!